About to renew your SAP support & maintenance? As December approaches, SAP customers are about to renew their support and maintenance contracts and become locked in to their 2018 agreement with the vendor for another year. If, however, customers want to move away from vendor support they need to provide 90 days’ notice, so bringing any decision making forward to before the end of September. 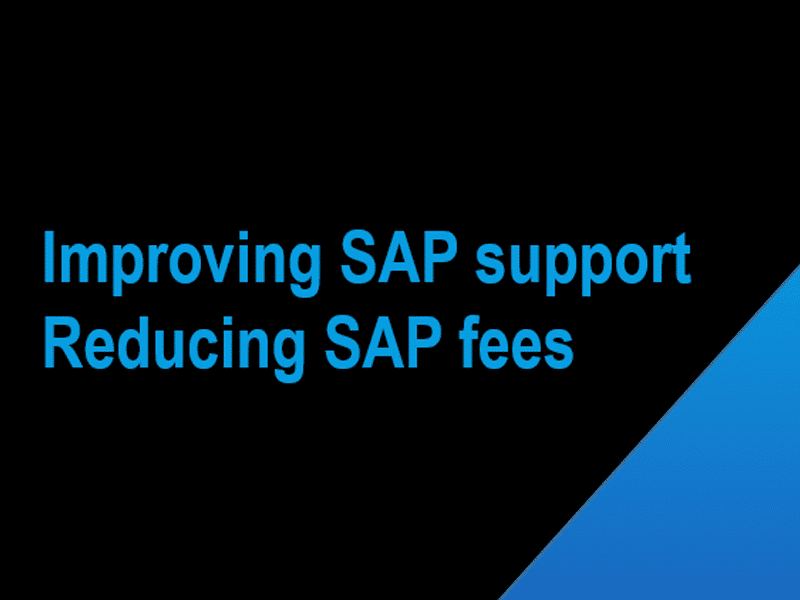 SAP customers are likely to be paying up to 22% of their license fees to support and maintain their database and software for the next year, when they could be paying half that amount by moving across to Support Revolution. Gartner have suggested that switching to a third-party for technical maintenance and support is one way of reducing costs and improving the quality of your support service and have predicted that up to 10% of enterprises will leverage a third-party for their on-premise ERP technical maintenance and support by 2020. Many organisations have already moved their SAP support to Support Revolution. Enquiries are increasing each week, as customers approach this time of the year when they need to decide whether to invoke their 90-day termination clause with SAP.
. . . and the icing on the SAP cake, immediate and ongoing savings – cutting existing SAP support bills in half and only paying for software that you actually use, not the entire licensed estate. The process of transitioning from SAP support across to Support Revolution is very simple, which we typically complete in 2-3 months. If you want to consider moving to a dedicated, professional and more personal support of your SAP estate (or Oracle for that matter), and save at least 50% in the process, then it’s definitely worth having a conversation in the next few days so contact us. To move away from SAP support and improve service levels for 2018 you will most likely need to give them notice by the end of September. See more information on the SAP software we support.